Macroautophagy (autophagy) in mammalian cells is a complex bulk degradation system involving autophagosome formation, maturation, and lysosomal fusion. Autophagy is controlled and co-ordinated by Atg signaling modules; the "ubiquitin-like protein (UBL) - Atg8" module is essential for autophagosome formation. The mammalian homolog of Atg8 is called microtubule-associated proteins 1A/1B light chains 3A/LC3A and 3B/LC3B (MAP1LC3A/B), abbreviated to LC3. These ubiquitin-like proteins can be used as reliable autophagosome markers for monitoring autophagy. LC3 is synthesized as pro-LC3 which is immediately processed by Atg4 into a cytosolic form, LC3-I. During autophagosome formation, LC3-I covalently links to phosphatidylethanolamine (PE)and is incorporated into autophagosome membranes where it recruits cargo. This event is mediated by Atg3 and Atg7. This lipidation process converts cytosolic LC3-I into the active, autophagosome membrane-bound form, LC3-II. It was recently shown that WIPI2, the human orthologue of Atg18, appears to be required for LC3 lipidation and is involved in positively regulating this process. Autophagy can be measured by changes in LC3 localization: tracking the level of conversion of LC3-I to LC3-II provides an indicator of autophagic activity. In particular the levels of LC3-II correlate with autophagosome formation, due to its association with the autophagosome membrane. In Western blotting, LC3 is detected as two bands; cytosolic LC3-I and LC3-II which is bound to PE in the autophagosome membrane. This makes the molecular weight of LC3-II greater than LC3-I. However due to its hydrophobicity, LC3-II migrates faster in SDS-PAGE and therefore displays a lower apparent molecular weight. Our MAP1LC3A/B (LC3A/B) polyclonal antibody recognizes both LC3-I and LC3-II forms. The antibody is superior for Western blotting, detecting two bands at 16-18 kDa (LC3-I) and 14-16 kDa (LC3-II). Our antibody is also validated for immunofluorescence. In autophagy the staining pattern has been shown to change from diffuse to more punctate when LC3-II is bound to the autophagosome (3). 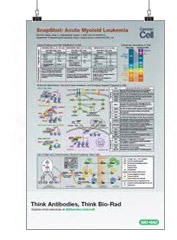 The MAP1LC3A/B antibody is available in convenient and cost-effective pack sizes; Product Code AHP2167 0.1 mg and AHP2167T, 25 ug. GFP-LC3 expression vectors are often used to transfect mammalian cells to study autophagy. We have GFP antibodies that can be used in a variety of applications to detect GFP fusion proteins. Polson, H.E.J. et al. (2010) Mammalian Atg18 (WIPI2) localizes to omegasome-anchored phagophores and positively regulates LC3 lipidation. Behrends, C., et al. (2010) Network organization of the human autophagy system. Iwata, A. et al. (2005) HDAC6 and microtubules are required for autophagic degradation of aggregated huntingtin. J. Biol. Chem. 280: 40282-40292. Riley, B.E. et al. (2010) Ubiquitin accumulation in autophagy-deficient mice is dependent on the Nrf2-mediated stress response pathway: a potential role for protein aggregation in autophagic substrate selection.